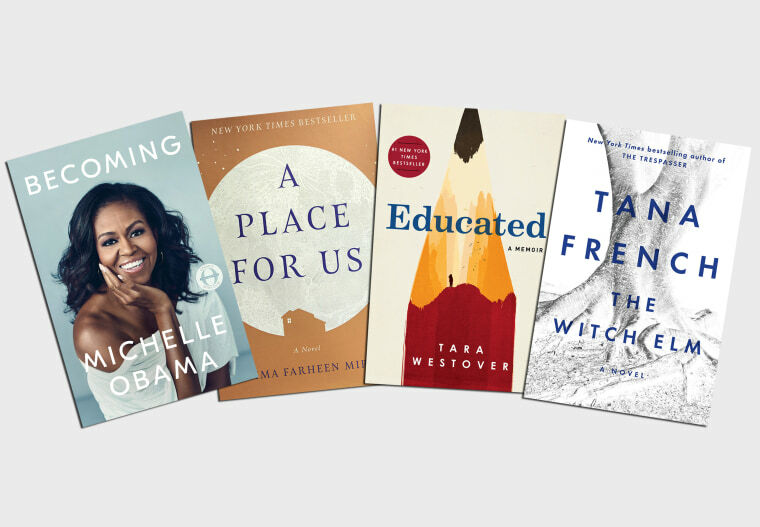 Under $30 and more personal than a bottle of wine, here are 17 books to give and get this holiday season. From memoirs to historical fiction to mysteries, books are inexpensive gifts that can spark imaginations and change lives. The final installment of Philbrick’s bestselling trilogy about the American Revolution covers the suspenseful final year of the war. He details the remarkable lead-up to the Battle of the Chesapeake — fought with the aid of a French fleet — which helped break the years-long stalemate and ultimately led America to freedom. Philbrick brings this turning point of American history to life with his obvious passion, expertise and superb storytelling skills. Reading like a thriller, this book details the rise and fall of the multibillion-dollar blood-testing startup, Theranos, and its infamous founder, Elizabeth Holmes. Celebrated as the female Steve Jobs, Holmes raised funding from big-name investors and eventually led Theranos to be valued at $9 billion. The only problem? Theranos’ technology, which would supposedly revolutionize blood testing in the health care industry, simply didn’t work. This inspirational book is a must-read for anyone aspiring to greatness — but having some difficulty staying motivated or clear on their vision. In her latest book, author and speaker Sincero delivers plentiful wisdom and practical advice, along with her signature sass and down-to-earth sense of humor. Horrifying and enthralling at once, this epic memoir tells the tale of Westover’s dysfunctional childhood spent in the remote mountains of Idaho — where she wasn’t allowed to attend school or see doctors due to her family's fanatical beliefs. Against all odds, Westover ends up attending college and even receives a doctorate from Cambridge. Her book details her incredible journey along the way, raising questions about religion, family and moral values. Deemed by the Wall Street Journal as “unarguably the best single-volume biography of Churchill,” this biography gives readers a fuller and more definitive picture of the British war leader than ever before. Roberts, the bestselling author of Napoleon, gained access to exclusive materials, such as transcripts of War Cabinet meetings, diaries, letters and unpublished memoirs, that he pieced together to reveal formerly hidden intricacies and nuances of Churchill’s storied life. This gorgeous book contains a collection of photographs taken by the record-breaking astronaut Scott Kelly, while he lived 250 miles above earth aboard the International Space Station. Using a Nikon camera, Kelly documents incredible moments on his journey, from life on the space station to stunning natural events such as sunsets, moonsets, the aurora borealis and massive hurricanes. No matter where you are in your life — single, married, divorced, successful, down on your luck — this book will help you recharge, renew your spirit and restore your sense of purpose. Full of motivation and encouragement, Shriver writes like your wise best friend, helping remind you that you’re not the only one going through “it” — whatever “it” is. If you’ve ever seen the RBG biopic, "SNL" sketches, or if you own a Notorious RBG t-shirt, well, you owe it to her to read the comprehensive story of her remarkable life — from her upbringing in Brooklyn to her years on the Supreme Court. The author has intensely researched her subject, talking to RBG herself, as well as interviews with her family, friends and colleagues. Farrell’s debut novel follows forensics specialist Liam Dwyer, who is investigating a seedy crime scene — only to realize he had an affair with the mutilated murder victim. The bigger problem: He has no recollection of what he was doing the night she was killed. Follow along as he digs into the clues to the murder alongside his brother Sean, and soon starts to question his own innocence — as well as his brother’s. Set during the Great Depression, this novel follows the saga of Adah Branch, who accidentally kills her abusive husband, surrendering the body to a raging river — and then gets swept away herself. The book tells the harrowing story of her survival, return, attempts to clear her name and fight to save herself as well as her stepdaughter from her husband’s cruel family. Riley Hope, a senior at New York University, looks like she has everything together — a loving mother, great friends and a long-time boyfriend. But behind the scenes, she’s dealing with a serious illness. Suddenly, a young struggling actor from Britain comes into her life. They quickly bond together, but it turns out he’s also hiding secrets of his own. In this colorful new read by the author of Big Little Lies, nine people meet at a remote resort in the Australian outback for a 10-day health retreat. Quickly, the guests realize that they’re not only in for massages and meditation — something darker is also going on. The nine strangers end up bonding over shared heartbreak and personal struggles, as they work together to get themselves out of the sinister situation they’ve found themselves in. From bestselling crime writer Tana French, this novel follows happy-go-lucky Toby, whose life is thrown into chaos after a shocking discovery is made at his ancestral home. As family secrets and alliances come to light, Toby is forced to fight to preserve his sense of self while questioning who he can truly trust — even himself. The bestselling writer’s latest novel includes history, romance and plenty of intrigue. We meet Marcus MacNeil, a battlefield surgeon during the American Revolution, who opts to become immortal (a.k.a., a vampire). Then the novel jumps to modern-day Paris, where Marcus falls in with Phoebe, who also wants to become immortal. In the process, the couple must confront difficult challenges they never expected. Named one of the best books of the year by the Washington Post, the first novel from Mirza — and from Sarah Jessica Parker’s new imprint — tells the compelling story of a Indian family in the Bay Area. In a series of flashbacks, we learn about the siblings’ chaotic childhoods as second-generation kids negotiating their parents expectations as well as the daily drama of being a teenager in America. Laurie didn’t believe in love at first sight — until she sees a man whom she instantly falls in love with on a snowy December day. Unfortunately, right after their eyes meet, her bus pulls away. Then ensues a year of searching all over London, trying to find him — until she’s introduced to him at a Christmas party … when Laurie’s friend introduces him as her new boyfriend, Jack.